‘Slither.io,’ a game in which snakelike creatures compete for food, quickly joined the ranks of the most-downloaded apps. Three months ago, Steven Howse struggled to pay rent. Now, the 32-year-old developer is trying to keep his hit videogame running smoothly as it pulls in more than $100,000 in revenue daily. In “Slither.io,” snakelike creatures compete to gobble up food. The free multiplayer game leapt into the top 10 most-downloaded apps alongside stalwarts such as Facebook and YouTube soon after launching March 25 on iOS and Android, fueled by word-of-mouth from social gamers. “Slither.io” has been downloaded more than 68 million times across mobile devices and averages 67 million daily players on web browsers, Mr. Howse said. There are more than 3.6 million mobile apps, including about 950,000 games, in app stores world-wide, according to industry tracker SuperData Research Inc. 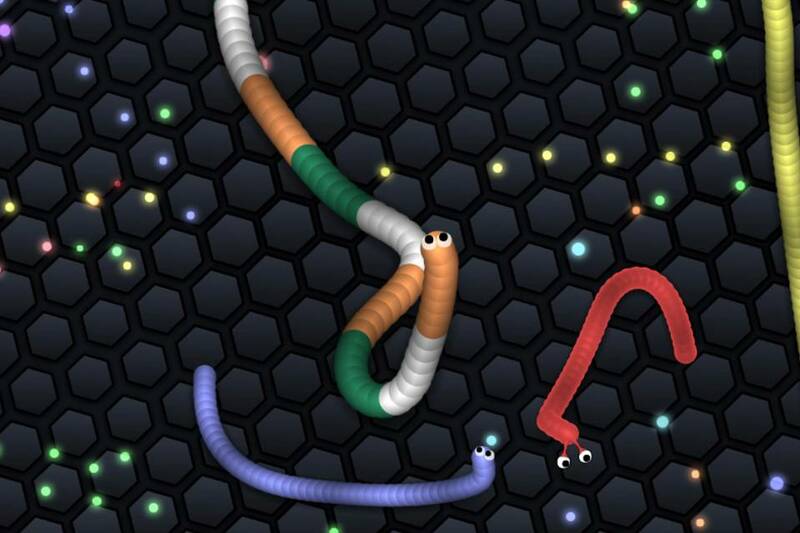 The emergence of “Slither.io” shows how game apps can become suddenly popular and lucrative even in a competitive landscape—and how difficult it can be for a small startup to manage explosive success. Mr. Howse scrambled to keep the game stable as new players joined. “When a server hit capacity, it would sometimes kick everyone out of the game,” the self-taught programmer said. Mr. Howse spent weeks finding server space in regions where demand bubbled up. He is trying to save money by avoiding cloud services from the likes of Amazon Inc. or Alphabet Inc. “It’s incredibly expensive because of the amount of bandwidth this game uses,” he said. “Slither.io” is profitable, Mr. Howse said. He pays about $15,000 monthly for online-hosting services, and shares revenue with Apple Inc. and Google. 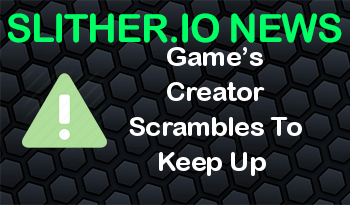 The idea for “Slither.io” came years ago to Mr. Howse, who had already had developed a few apps, and was rekindled after he noticed last year the rising popularity of Agar.io, a simple online multiplayer game. In the meantime, financial trouble forced him to leave Minneapolis in April and move back home to Michigan. Then Slither.io sprang to life. Having players “eat things to get bigger” isn’t exactly novel, Mr. Howse conceded. Still, “Slither.io” checks the boxes for an addictive game: free, easy to pick up, seemingly endless. After six months building the game, Mr. Howse had no money for marketing. It wasn’t necessary—people on Alphabet’s YouTube posted videos of themselves playing. They included Felix Kjellberg, better known as PewDiePie, who has more than 47 million followers. The game exploded. To make money, Mr. Howse relied on advertising. Players can spend $3.99 to remove ads that appear when a player loses. He doesn’t sell virtual currency or power-ups, surprising given how vital in-app purchases are to mobile gaming. Most users put up with the ads, he said. Those ads drop less than a penny in Mr. Howse’s pocket each time a player sees one. But with an average of 460 million fails a day, it adds up. Mr. Howse declined to disclose how much he has taken in so far but said it is in the “seven-figure” range. Maratha Binder Oppeda discovered “Slither.io” a month ago on YouTube. She likes competing against other players but might quit once she tops a leaderboard. “There’s not much else to do after that,” the 19-year-old from Bergen, Norway, said. Keeping players happy is a common challenge for mobile-game developers. Mr. Howse recently added new controls and a single-player option, and is looking into a team mode. The next step could be letting go. Mr. Howse says he is contemplating selling “Slither.io” after receiving offers from two large game companies and a venture-capital firm. He concedes the experience has been stressful. “It’s a problem most people would be envious to have,” he said.